Screen celebrated the launch of the UK & Ireland Stars of Tomorrow 2018 with a party at the Rooftop at Trafalgar St. James in London on Thursday October 11. This is the fourth year Screen’s Stars of Tomorrow has run in partnership with the BFI London Film Festival (LFF), supported by the Casting Society of America (CSA) and ScreenSkills (formerly Creative Skillset). LFF artistic director Tricia Tuttle gave a speech at the event, alongside Nancy Bishop of CSA, Gareth Ellis-Unwin, head of film at ScreenSkills, and Matt Mueller, editor of Screen International. As well as most of the class of 2018, guests included Stephen Kelliher, director of Bankside Films, Rachel Robey, senior producer at Wellington Films and Valentina Brazzini, head of development at The Bureau. 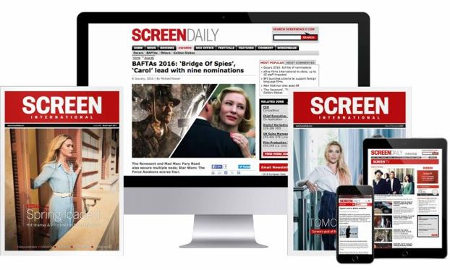 Visit Screen’s instagram for more exclusive pictures from the event, including images of this year’s Stars. Events included a Bo Burnham Q A and a live Jessie Buckley performance.